It's a fact I love makeup products - even though that most of the time I want to keep it simple - I'm not up for heavy eye makeup or simply putting too much stuff on the face. Instead I love makeup that makes you look airbrushed and effortless. And in order to look like that, the most important is how your skin looks. Of course we have good and bad skin days, but it's always possible to make it look good with the right makeup products. Recently I completely changed my face makeup routine and started using some new Clinique products. 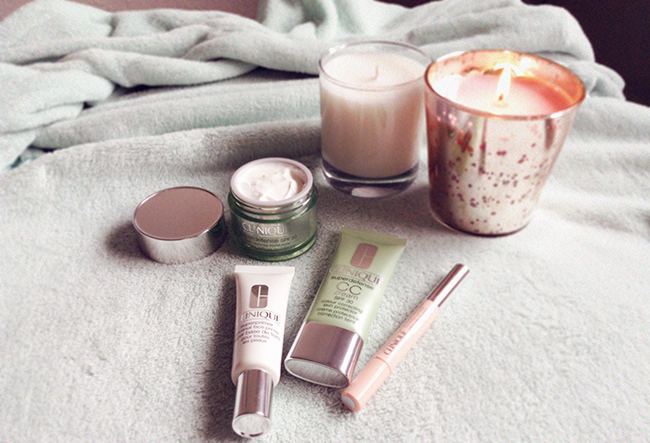 The first step after the morning moisturizer is the Clinique Superprimer. This little thing changed my life! I can not tell you how soft and smooth the skin feels after putting it on, it makes the skin perfectly even and creates a great base for the next step - Superdefence CC cream. So far it's the prettiest tinted cream among all of the other BB or CC creams I have tried. It's quite sheer - but that's what I expect from tinted creams. Yet the most exciting thing about it is that it has a slight shimmer in it - which is something that I wouldn't normally like, but oh my, how good it looks! It leaves the skin looking radiant and naturally glowing. So beautiful! And the last step - Airbrush concealer - I got it in fair and the pinky shade is perfect for highlighting and concealing dark circles. 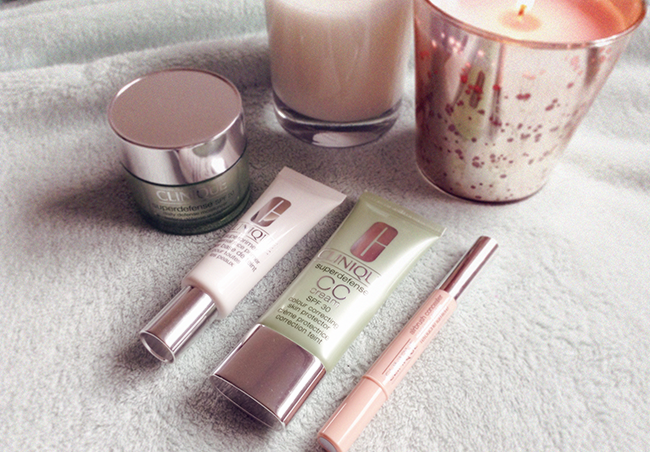 To sum up, all these products works wonders together - especially for those who like "no makeup makeup" look! I had no idea that Clinique had a CC Cream! I use Smashbox right now, but I may have to stop by the Cinique counter and try it out! Clinique is such a great brand ! 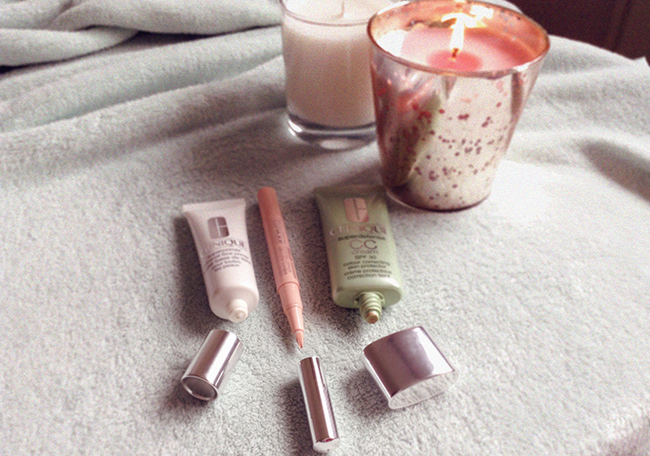 Love their products ! I haven't tried these makeup products out, sounds good. really interested in these products now!! 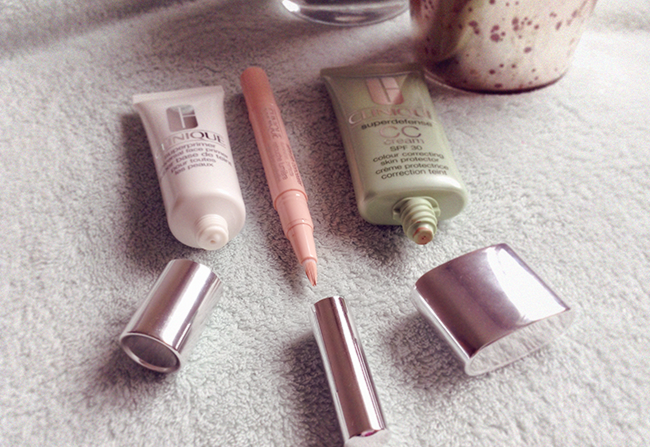 Your photos are absolutely stunning and thank you for sharing this , I'm especially intrigued by that concealer! I used to have a little cream concealer jar from clinique (which I absolutely loved) but never repurchased, so I'm curious to try this one out! I love the Clinique brand! I have never try any of these products before. I love Clinique, all my creams are from them...And you know..this week i went to the mall to check out other Clinique products and I saw all the ones you showed me, I tried them and loved them but I didn't buy...i have to save some $$ first to shop all of them hehe but now that i see your post and you are telling that they work wonders, i will defenetly buy them! Great post!